Realising the ill-effects of alcohol, most villagers in Merag Gewog have reduced consuming alcohol. In the past, it was customary to drink alcohol in social gatherings and some even present it as gifts during special occasions. 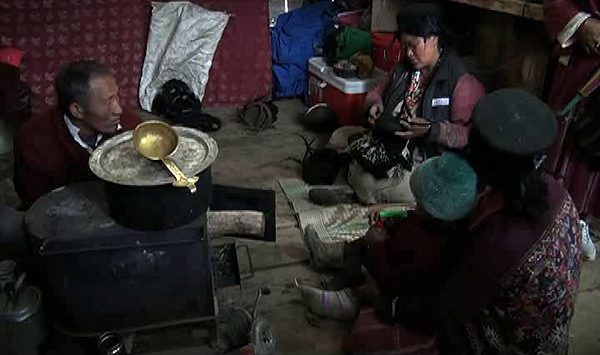 Since Merag is located at the high altitude and the weather is mostly chilly throughout the year, people resort to drinking to keep their body warm. But now, the scenario has changed. A 59-year-old Norbu is among many people who stopped drinking alcohol. He has quit drinking for the last two years. “Since my health was deteriorating, I decided not to drink,” added Norbu. Locals now prefer to drink tea than alcohol. Shopkeepers also said there are a fewer number of people coming to buy alcohol products. “The declining trend could be due to children who are enrolled in schools and monasteries. Their teachers and masters must have advised that drinking alcohol is harmful to health,” said Dawa Choden, a shopkeeper. The decreasing trend of alcohol consumption is attributed to collective efforts put in by the dzongkhag and gewog officials. “We do not encourage people to have alcohol during events. This is in accordance with the rule of the gewog,” said Lama Rinchen, the Gup of Merag Gewog. Last year, alcoholic liver disease was reported as the top killer disease in the country. To treat alcoholic patients, the government is spending millions of money every year.